The criminal defense attorneys at Matthew Lopez Law understand the challenges people face when dealing with criminal charges. With office locations in Tempe and Lake Havasu, Matthew Lopez Law proudly represents clients in every city throughout Arizona. The attorneys at Matthew Lopez vigorously defends clients charged with all types of criminal cases including, but not limited to, DUI, OUI, Drug possession and transportation, Sexual Offenses, Violent Offenses, Robbery and Burglary and traffic related offenses. Being unaware during a criminal case could end up costing people their freedom, and profoundly affect their futures. 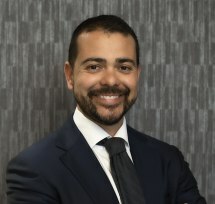 Providing personalized attention throughout the legal process, the law firm’s managing attorney, Matthew Lopez, and his team are committed to respecting their clients’ rights. Drawing on his wealth of courtroom experience and his knowledge of the Arizona legal system, Mr. Lopez strives to see his clients’ criminal charges substantially reduced or dismissed entirely. Driven by a passion for upholding the rights of those charged with criminal offenses, Mr. Lopez and his staff take the time to discuss the details of each person’s situation and case with them in a free initial consultation. Understanding that each case is unique, the law firm crafts a strategy aimed at achieving the best possible resolution for its clients. Mr. Lopez stands by those he represents, working to alleviate some of the uncertainty and stress that their criminal charges may cause. The lawyers at Matthew Lopez Law are available by phone 24 hours a day, 365 days per year. Our consultations are always free and we offer affordable payment plans.